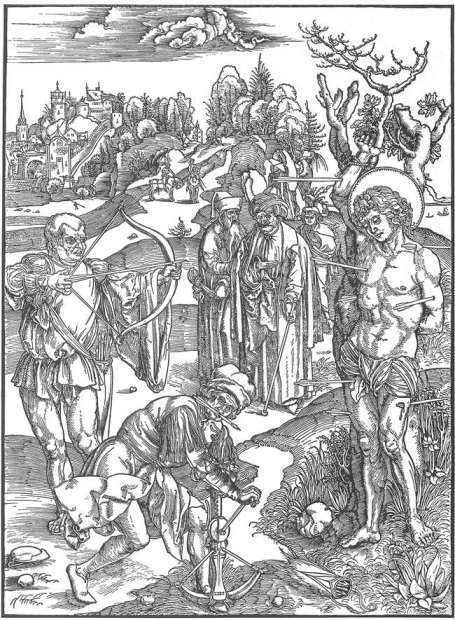 Dürer’s woodcut of The Martyrdom of Saint Sebastian provides further evidence that even religious scenes are self-referential. Saint Sebastian, as has been explained elsewhere, is one of art’s primary symbols for the idea that art is self-referential and that every painter paints himself. 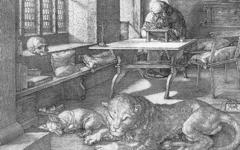 Poetic craftsmen, identifying with the suffering of the saint, imagine the arrows hitting their alter ego as their own tools. The artist as St. Sebastian is punctured, so to speak, by his own paintbrushes. This, however, is not a painting but a woodcut as the executioner in the foreground, making eye contact with the artist, emphasizes. A crossbow is not part of the traditional story – regular archers are – but Dürer uses this narrative inconsistency to signal a point-of-entry for interpretation. 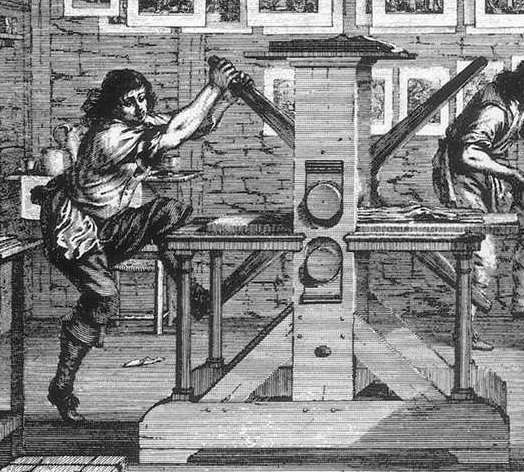 Once the viewer (whether a later artist or you, an art lover today) identifies the crossbow as an inconsistency, he or she can easily recognize the action of the crossbowman as that of a printer making the woodcut itself. 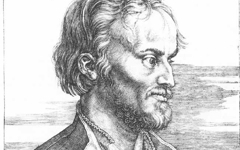 Compare his gesture to that of the printer in this later engraving by Abraham Bosse. 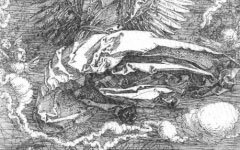 See also Dürer’s Angel holding the Sudarium.